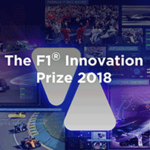 Tata Communications, Formula 1® and Mercedes-AMG Petronas Motorsport join forces for the fifth consecutive year to promote and reward fans and technology enthusiasts in the sport’s only global crowdsourced innovation competition. This year’s challenge entitled ‘My F1®’ puts you, the fan, in the driving seat – we’re asking you to imagine what your F1 looks like. We want you to design the ultimate user interface using F1’s diverse data points to create the most immersive, customised viewing experience.